"In addition to its eco-friendly features, it's backed by a lifetime warranty." "The interior is designed to resist scratches and stains." "Can withstand temperatures as high as 850°F without emitting toxic fumes." "These pans are coated with a substance that's free of PTFE and PFOA." This cookware uses ceramic-based non-stick technology instead of a traditional petroleum-based non-stick surface, helping to preserve oil supplies. The Ceramica coating is applied at a lower temperature than conventional non-stick and is free of polytetrafluoroethylene (PTFE), commonly known as Teflon, and perfluorooctanoic acid (PFOA), which is used in the manufacture of Teflon and other non-stick surfaces. This hard anodized cookware is designed to achieve better heat conductivity, requiring less energy when you cook. Plus, it features riveted stainless steel handles made from 70% recycled materials. Its packaging is also made from 100% recycled materials and is printed with soy ink. In addition to its eco-friendly features, this cookware is backed by a lifetime warranty and is safe for use with electric, gas, glass ceramic and halogen cooktops. The line includes an 8" skillet, 10" deep fry pan with cover, 1.5 qt. saucepan with cover, 2.5 qt. saucepan with cover, 3 qt. "everyday" pan with cover, 6 qt. dutch oven with cover and a steamer insert that fits the 2.5 qt. saucepan. This cookware is not dishwasher-safe, so Cuisinart recommends washing it in warm, soapy water with a sponge or soft dishcloth. You can use plastic, wood and nylon kitchen tools while cooking with it, and it is oven-safe up to temperatures of 500°F. 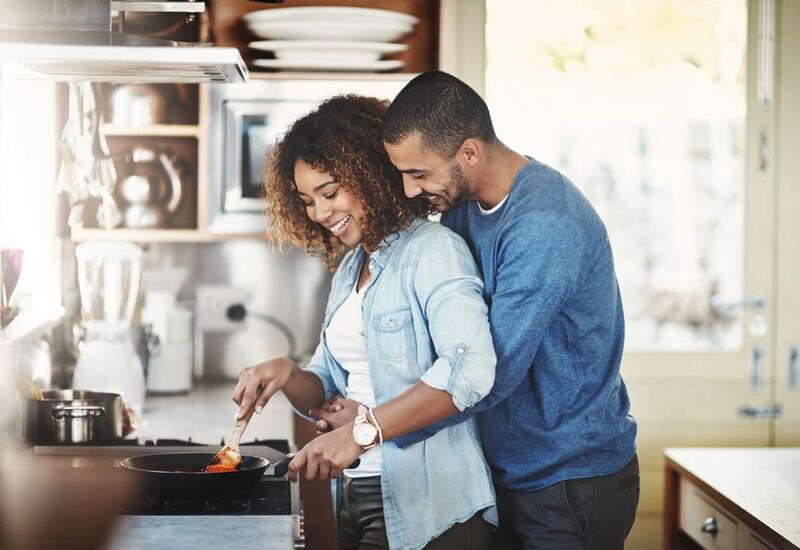 Cuisinart also makes a Green Gourmet Tri-Ply Stainless Steel cookware line that uses the same non-stick coating and can be used on induction cooktops. This eco-friendly cookware line is free of PFOA, PTFE and cadmium. The interior is lined with a water-based “nano-ceramic” coating made of titanium and micro-particles of suspended silicate, the main material used to make glass. The interior is designed to resist scratches and stains while providing an easy-to-clean, uniform surface. The exterior is made of scratch-resistant silicone and is durable enough for high heats, and the base is designed to provide superior heat conduction, allowing you to cook at lower temperatures and conserve energy. This cookware can be used on gas, electric, glass and ceramic stoves, but is not suitable for induction cooktops. Made in China, it is not oven safe and Bialetti recommends hand-washing and using plastic or wooden kitchen tools when cooking so you don't scratch the surface. 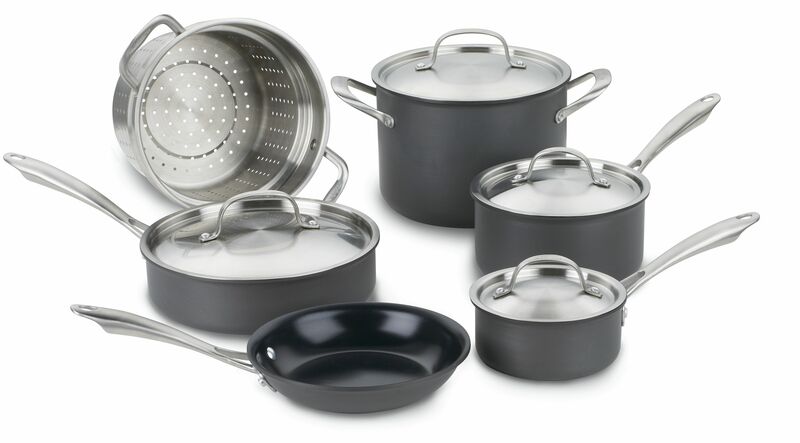 There are 3 sauté pans available in this line (8”, 10.25” and 12”). GreenPan's cookware features Thermolon non-stick technology that can withstand temperatures as high as 850°F without emitting toxic fumes, blistering or peeling. Thermolon's excellent thermal conduction also allows you to cook mostly at low to medium temperatures, reducing energy use. The products are also free of cadmium and lead, feature upcycled stainless steel for the handles and upcycled aluminum for the cookware bodies, and the curing phase of Thermolon's production emits 60% less carbon dioxide than traditional non-stick coatings. The company produces 5 lines of cookware, as well as bakeware, electrical appliances, and accessories. To keep the pans functioning well, GreenPan recommends avoiding the use of metal utensils when cooking, hand-washing the pans and separating them when storing. These eco-friendly pans are coated with German-made Greblon ceramic, which is free of PTFE and PFOA. The scratch-resistant surface is textured and designed to withstand high temperatures without releasing harmful fumes or toxins. The pans are made from heavy-gauge die-cast aluminum to distribute the heat evenly and have a magnetized bottom that allows heat to transfer rapidly on induction stoves. Ozeri's Green Earth collection includes a 12” wok and 3 sizes of frying pans -- 8”, 10” and 12” -- with accompanying lids sold separately. Scanpan's cookware features a Green Tek non-stick surface and ceramic titanium coating that's free of PFOA and PFOS. Its Professional line includes dutch ovens, fry pans, saucepans, sauté pans, grill pans, sauce pots, woks, and steel lids. Scanpan recommends avoiding the use of extremely high heat when cooking with this cookware. The pans are oven-proof and dishwasher-safe and can be used on electric, gas, induction and halogen stoves. In addition to its professional line, Scanpan makes two other cookware lines that feature the Green Tek coating.